Please scroll down for some information on the new computing software for managing members, competitions, handicapping and viewing competition results online. You can also read about the new website and what was considered important to include in the design. Hello to all Members at Skelmorlie Golf Club. If you are reading this posting you will be aware that as the club moves into its 125th Anniversary Year, we have launched a new website at www.skelmorliegolf.co.uk. More about the website, i.e. what it is designed to bring to the club and how it attempts to do that, will follow a little further on in this post. Many of you will not yet be aware that also this year, we have moved from our previous club membership management, handicapping and competition software package, Club 2000 and its HowdidIdo online service to a new software solution known as HandicapMaster and the online results service MasterScoreboard. This new software provides all the same facilities and some additional features providing improved online services and integration into our website. Which simply equates in our opinion to better value for the club and a easier, more informative and faster service for members to view competition results and handicap changes. We would ask you to be a little patient as we integrate this system into the club, as it will take a little time for club officials working with the software to fully understand its operation and to get it up and running to its full capacity. We expect that will be a mostly trouble-free and effective process, that will be up and running fully at season start, but just in case of a hiccup please bear with us. For those who may think this is a change to the handicapping method itself, please be assured it is not. Handicapping is managed by CONGU and the CDH (Central Database of Handicaps), this is just a change to the software the club uses to work within that system only. The new product we use now has to follow stringent guidelines on operational principles and has to be approved by CONGU itself. It is only this software interface at the club level that has changed, everything else remains the same and is consistent with all other clubs regardless of the software individual clubs use. Skelmorlie Golf Club is delighted to offer its members and anyone thinking of joining or visiting the club, a new website that presents an informative and attractive way to view information about Skelmorlie Golf Club online. That is, from finding out about the facilities we have at the club, to reading about and seeing some lovely images of the golf course itself, to discovering just how easy it is to either join or visit the club, and what you can expect from us if you do so. The primary driving force for re-doing the club website, was to create a set of web pages that allow the club to update or add new information with ease, to make the content of the site very relevant and thus helpful, to anyone viewing the site – be it a member, a potential member or a visitor / guest to the club. Three target audiences were identified as the main groups likely to visit the website – existing members of the club, potential future members, and finally anyone thinking of visiting the golf course who decides to check out our website prior to doing so. In order to cover the needs of those groups, the following sections were considered important to include. Firstly, the ability for members to find out what is happening at the club, on the golf course as regards upcoming competitions but also off the golf course as regards social events, special fun days, charity fundraisers and other non golfing activities that may be occurring such as private parties – this is provided by an online events calendar and listing and by specific blog postings which will highlight in full the details of special upcoming events. Secondly, as well as members finding out what is planned, playing members will of course also want to know about competition results and with the use of blog postings for major competitions, the main results service itself and the competition listings page on the website they can quickly and with relative ease view any competition result, and indeed their personal performance, and for those who might be wondering, the email notification service for competition results will still be available for those who wish to receive it. As well as serving the needs of members, club websites these days, must attract new members to the club and visitors to come and play the course. The club has attempted to pull in these new members by providing specific web based information for prospective members on not only what the club offers, in the way of a enjoyable golfing experience and access to a range of competitive golf if they desire, but also the information they need on what overall value a membership at Skelmorlie Golf Club provides to them, and then finally an easy online option to make an application for membership. 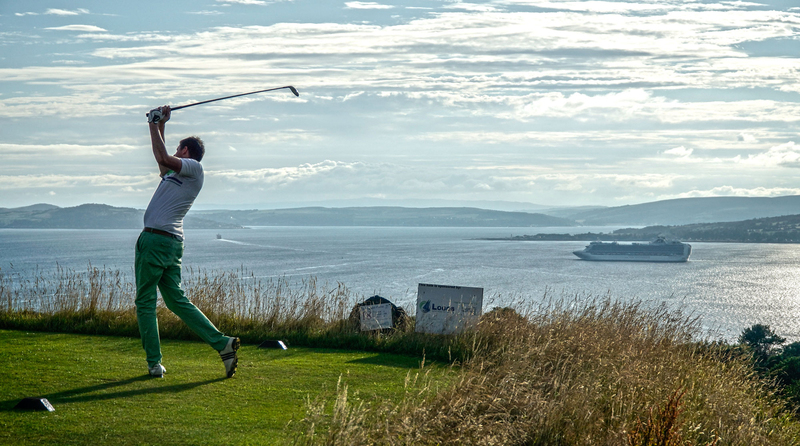 We have tried to make the membership process as simple as possible to join Skelmorlie Golf Club; show them the costs, share the benefits and provide an easy instant way to get an application made. Finally, as important as it is to find new members and keep existing ones happy, it is important to also appreciate the contribution that visitors make to the running of the club. The income generated by visitors is crucial these days, and as such the website portrays the value it gives to any visitors, be it a large party, smaller group or simply an individual choosing to play golf at the club. The website projects a welcoming and enjoyable place to come and play. Where a visitor has chosen Skelmorlie Golf Club we want to provide them with a great experience and good value for money. Quite often, that starts with the potential visitor looking on our website, investigating the general feel of the club and course, the value of the golf being offered and the likelihood of them having a good time. We are confident our new website ticks the right boxes. The hole images show the course as an attractive yet challenging layout, the rates displayed show the good value we offer, images of the clubhouse show the 19th hole as a relaxing place to include in their visit, and finally we make it easy to contact the club, to discover a suitable time to play, book and pay. A little bit of clarification on the cost of the new website and the new membership / handicapping software and the online results scoreboard. Firstly, there were no design costs at all incurred during the redesign of the website, the hosting was simply switched at the same cost to a new and better service and a more modern and hopefully effective design was conceived and implemented. The handicapping and membership software solution along with the online results service was purchased at a cheaper annual price than what was being used already – so actually became a small cost saving. There were some relatively small costs associated with some computer hardware changes and essential equipment repairs and slight reconfigurations to our email delivery service. Donations of new equipment actually matched any hardware or equipment repairs that had to be paid for. Finally, there will be some advertising costs associated with promoting the website, the anniversary aspects and the membership deals we have this year, the expectation is that this will easily be paid for by a good increase in the membership of the club and increased visitors this year who come and play the course. On a final but most important note, I would like to thank everyone who has helped me in providing information and photographs for the website, I would not have been able to produce anything nearly as useful without your assistance and input. I would like to especially thank Donnie our match secretary for access to many of his photographs, which have been used on various areas of the site to great effect, they make a huge difference, also to Sandy Riddell who provided the text for each of the hole descriptions on the website and finally to Graham Ross the Skelmorlie based Professional who works with our juniors who kindly provided the Pro Tips for each hole – thank you.